After-sale Service || Kanto Seiki Co., Ltd.
We hope the customer to fully use the Oilmatic to obtain your satisfaction. For this purpose, we will provide quick and reliable after-sale service for the Oilmatic used in the world. Can you provide parts for a R-22 Refrigerant based unit? No. Manufactures update models based on the Montreal Protocol, R-22 refrigerant and parts are obsolete. What parts of the machine should be cleaned regularly? To help you use the machine as long as possible, we recommend that you clean the air filter once a week. If you use Oilmatic of the "water cooling type," fur and scale may form inside the water-cooling compressor for some types of water, resulting in the lowering of the cooling capacity and compressor trouble. Please check the water quality and cleanse the water regularly. Of what points should care be taken when we install Oilmatic? 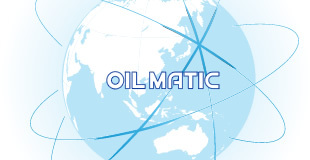 Oilmatic is not adaptable to the environment where there is much mist and where coolant liquid, water, etc. may splash on it. There are also other matters you should pay attention to so as to maximize its capacity. For more details, please read Section 1. "For safe use" and Section 2. "Cautions" of the "User's Manual" attached to your Oilmatic. We would like to ask you an overhaul of our Oilmatic. We may give an overhaul to your Oilmatic, but there are some machines for which we may not do so because the years of use are too many or because the condition of the machine is too bad to be overhauled. Please contact us via the supplier, and click here for all inquiries. When you contact us, please specify the "MFG No. (Manufacturing No.)" of your machine. Can we buy the parts of Oilmatic? Yes, you can (But for some products whose manufacture has been discontinued, we may not supply you with any parts). Please contact us via the supplier, and click here for all inquiries. If you contact us, please specify the "MFG No. (Manufacturing No.)." We would like to know the contact point about the troubles and malfunctioning of the machine. We provide Oilmatic of the specifications suited to the needs of individual machine tool and industrial machine manufacturers as a principle. Therefore, please contact the manufacturer and supplier of the machine tool or industrial machine on which Oilmatic is mounted, or click here. When we make contact with the manufacturer, etc., what matters should we tell them? You will find the manufacturing number (MFG No.) on the seal or plate put to the side of your Oilmatic. Please check the MFG No. and tell the supplier this number and your company name, address and contact point, your name, the model name and SpcNo (stated in the Specifications), the details of the problem (If an alarm has been given, the type of the alarm), the location of the machine and the temperature of the location, or click here and state the above-mentioned matters. Can we ask you to repair our Oilmatic? Yes you can, but there are some machines for which we may not do so because the years of use are too many or because the condition of the machine is too bad to be repaired. Please contact us via the supplier, and click here for all inquiries. When you contact us, please specify the "MFG No." as in the case mentioned above. Where are the methods of troubleshooting explained? As for the troubles likely to occur during the daily use of the machine and the methods of dealing with these troubles, please see the section of "Troubleshooting." Troubleshooting methods are also described in the "User's Manual" attached to each series of Oilmatic for your reference. Click here for all inquiries.